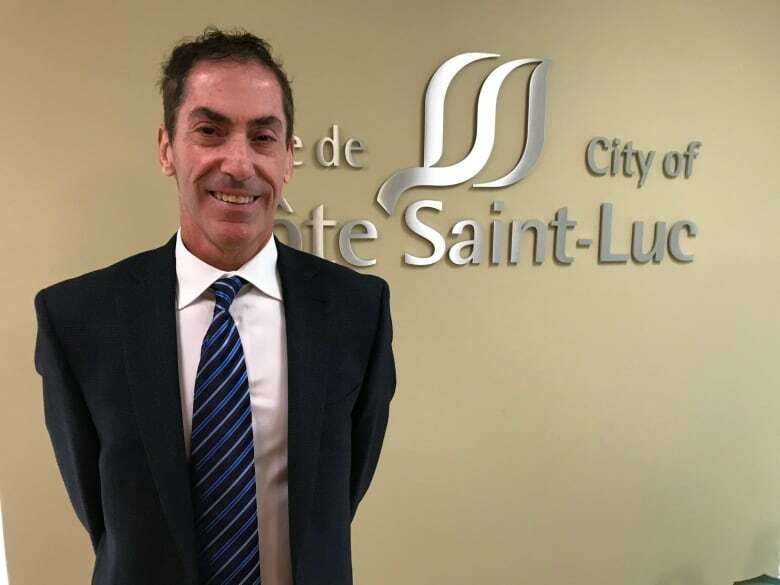 The city's mayor, Mitchell Brownstein, says Côte Saint-Luc has changed over the years, to the point where more people are demanding to be allowed to erect a tempo. When you look inside Arnold Cohen's garage, you can see bikes, boxes and hockey equipment. "It's the classic, where the nice cars are in the driveway and the junk is in the garage," said Cohen. Even if the garage were empty, Cohen says there would not be enough room for either of his family's cars. That's why Cohen says he'd erect a temporary car shelter, known by its popular moniker "tempo," if a draft bylaw making its way through Côte Saint-Luc city council passes. 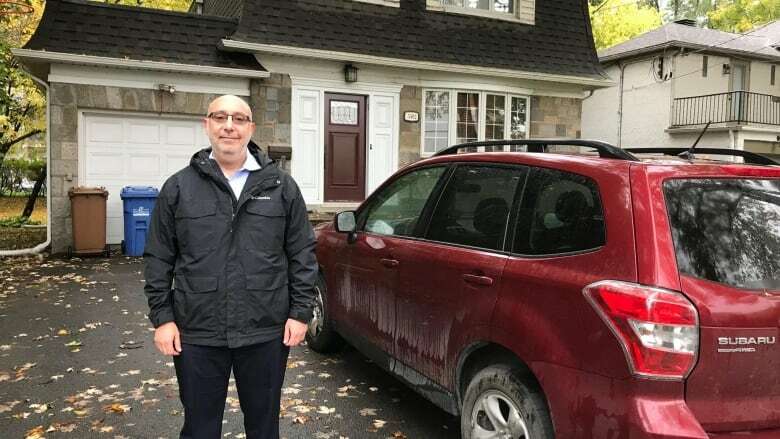 Bylaw 2217 would allow residents of Côte Saint-Luc to install a tempo on their driveway for the winter months. Cohen pays for a snow-removal contractor to clear his double-wide driveway after storms. He says the contractor arrives in the morning before he leaves for work, but only manages to clean the snow from behind the cars parked in his driveway. That leaves more work for the 53-year-old lawyer. "You have to dig the cars out in between to be able to get into the cars, and then shovel out the cars," said Cohen. "You have to clean off the snow, clean off the ice. It's a real pain." 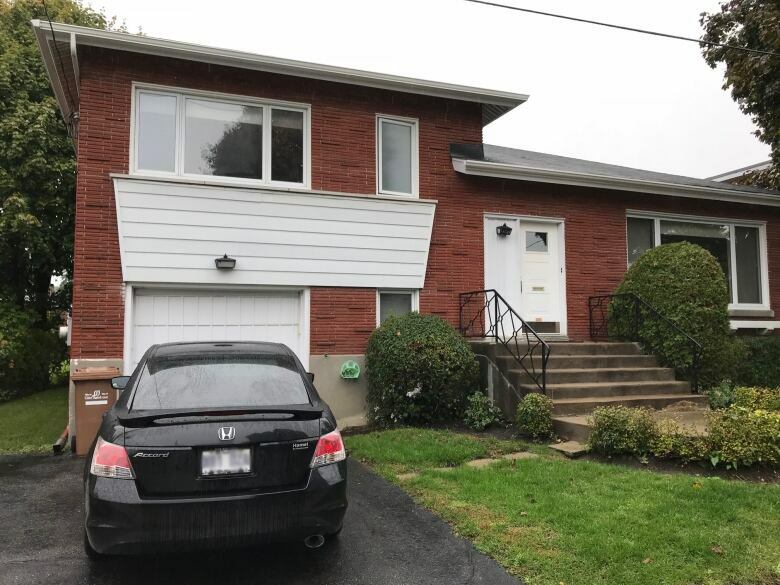 Almost every detached home in the suburban Montreal community has a garage, and the tempos were deemed unnecessary as a result. But the garages are small, barely wide enough to fit a modern car. Many families also have more than one vehicle. The city has given exemptions to about 120 homeowners who do not have a garage or permanent car shelter on their property. They were the lucky few allowed to erect a tempo. He said more families have two or three cars, and allowing them to park under a sheltered driveway would get vehicles off the streets and help with the city's snow-removal operation. Brownstein said the city also has a large senior population, about one-third of Côte Saint-Luc, that needs to be considered. "They have a hard time cleaning their car in the winter, and there's the danger of falling on the ice," said Brownstein. Not everyone shares Arnold Cohen's enthusiasm for the tempo. At a recent public consultation on the shelters, a number of residents spoke out against allowing them. "I do not want tempos because I really think they're an eyesore," said Morrie Baker. He worries that the shelters would provide an opportunity for burglars to enter cars and homes without being seen. He also questioned whether allowing the long, white carports for four or five months a year would bring down property values. "We do know there are some people in our city that find them ugly," said Brownstein. "Most of those people still don't want to oppose the bylaw because they understand the need." Despite their unsightliness, many people in Côte Saint-Luc are willing to accept the tempo. "They're practical, but very ugly," said Pinedale Ave. resident Elaine Silberman. "Aesthetically, it's going to make a difference here. But if somebody wanted it, it would be okay with me." Residents opposed to tempos can sign registers at city hall, triggering a referendum on the draft bylaw. Brownstein said if there is a lot of opposition, he would withdraw the bylaw and rework it to reflect concerns of the population. If the bylaw passes, Côte Saint-Luc residents could be setting up their tempos before the snow flies.